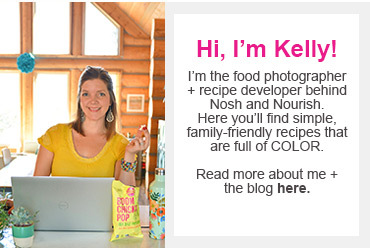 Happy Summer Nosh and Nourish readers! 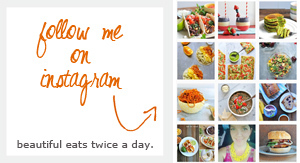 Lunches + Littles here and guess what?! The wait is over… Summer is finally *officially* here. Though, I’ll be honest - we weren’t really doing too much waiting. Ever since school let out a couple weeks ago, we have been in full-force summer mode over here! Cook outs, splash pad visits, late nights, and you better believe it – homemade ice cream. 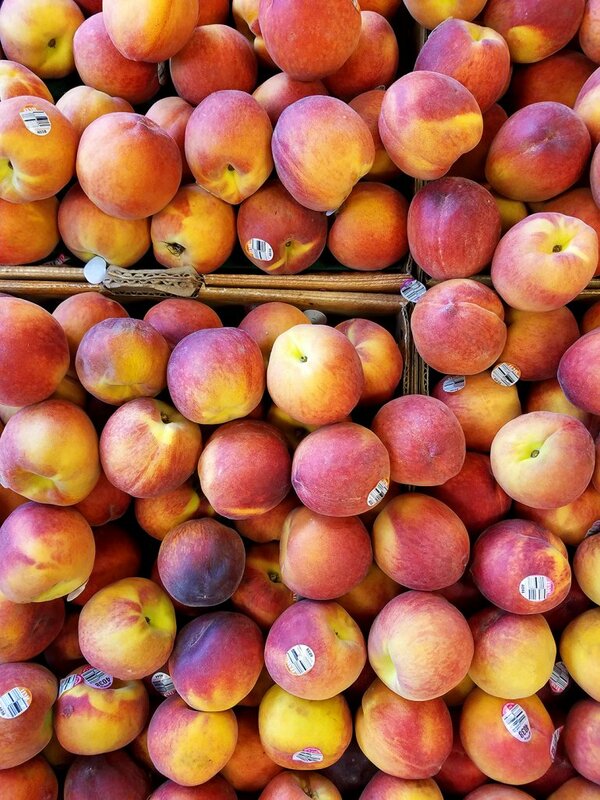 Now, peaches have always been one of my favorite fruits. For me, there just isn’t a more delicious way to welcome summer than to take a big bite out of a fresh, juicy peach. 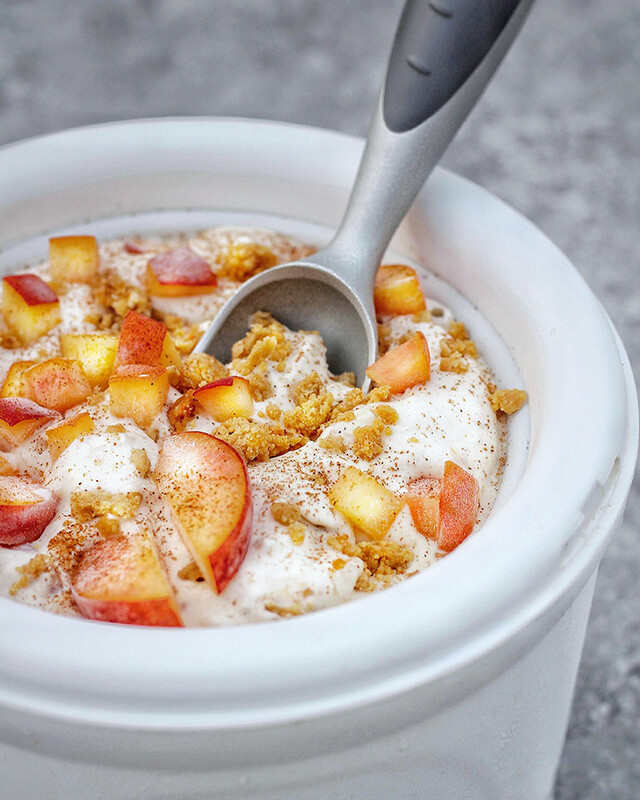 Kelly shared 6 other peach recipes you must make this summer including smoothie bowls, cobbler, popsicles, and even peach guac! Last weekend at one of our local Farmer’s Markets we picked up a couple pounds of peaches and I knew I had to come up with a way to use some of them – aside from just straight eating them – which I did a lot of anyways! So, over on my Instagram feed, @lunchesandlittles, I asked my followers if they would rather see a recipe for homemade ice cream or waffles, featuring peaches. Tough choice, I know. But, after over 6,500 votes – ice cream proved the winner. Although, I am thinking that I may still need to make some waffles too, since it was such a close vote. What do you think? 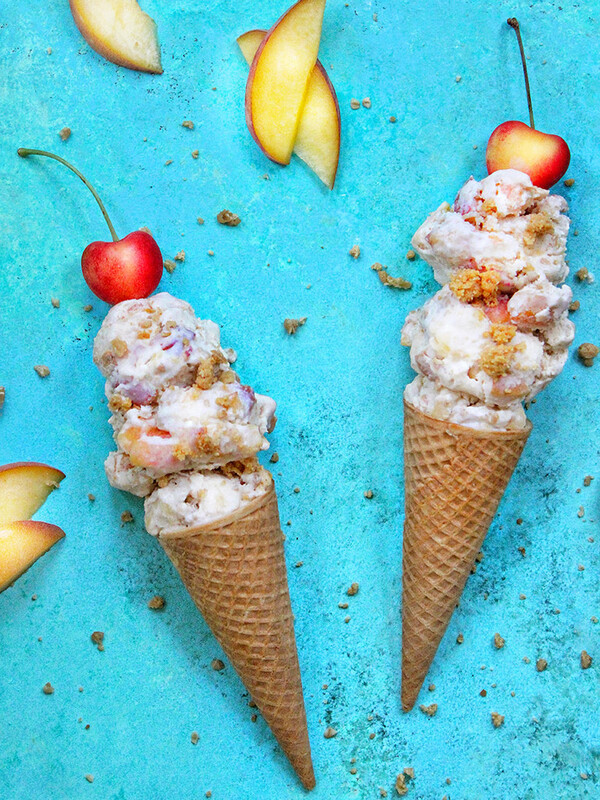 This ice cream features roasted peaches of course, but also a toasted oat crumble, freshly ground cinnamon, and a graham cracker swirl. No, this isn’t an easy 5-minute recipe (I have one of those coming next week!! ), but what it is, is pure deliciousness. A little extra time, for an extra special indulgence. This ice cream will not disappoint, and will be worth every minute of prep! Scroll down for the full recipe. And no matter which frozen treats you try over the next few months– enjoy every moment of this season! *You will also need an ice cream maker that is at least 1 qt in capacity. • Start off by pre-heating oven to 375 degrees. • Put your cut peaches on a rimmed baking sheet and drizzle with a little maple syrup, then sprinkle with brown sugar. • Place baking sheet in oven and roast peaches for 15- 20 min. until soft and roasted. Once done, remove from oven and set aside. *Do not turn off oven, you still need it on for the crumble! • Next, in a small pan heat up 1 cup only of your whipping cream, white sugar and salt over medium heat. Cook on medium-high heat, whisking pretty constantly, until sugar is completely dissolved. • Once dissolved, remove from heat and place in your refrigerator to cool for 10- 15 minutes. • While mixture is cooling, in a medium-sized mixing bowl, add the following: remaining 1 cup of whipping cream, milk and vanilla extract. Whisk to just combine. • Then, add in your cooled mixture from refrigerator, cinnamon and half of peaches. Stir to combine. Then, refrigerate this mixture for at least 1 hour. FOR CRUMBLE: In a small-sized mixing bowl, combine brown sugar, flour, oats, cinnamon and salt. Whisk gently to combine, then work butter in little by little – breaking it with your fingers as you go. You want a crumbly consistency! Place crumble mixture in a small pan and brown in oven until crisp. This should take approx. 10 minutes. Be careful not to over cook the crumble! Once cooled, break apart in your hands and set aside. FOR GRAHAM CRACKER SWIRL: In a small bowl combine graham cracker crust and sugar. Then add in melted butter until a nice crumbly consistency. You can press this mixture into little strips or balls or just leave it crumbled. Set aside. • After an hour has passed (cont. from above), add your cold mixture to your ice cream maker and churn according to the manufacturer instructions. You will want your ice cream mixture to be similar to soft serve in consistency after done churning. At the end of your churning (with just a minute or two to go) add in about 1/2 of your crumble mixture and 1/2 of your graham cracker crust mixture. Mix in for last few minutes. • Then, transfer ice cream mixture to a freezer safe container, and layer ice cream in two or three layers; placing additional crumble and graham cracker crust mixture in between layers for a ripple effect. • Allow to firm up for at least 6 hours, or overnight. Top with additional peach slices or peach dices and crumble/ cracker mixture prior to serving. Can also sprinkle with additional cinnamon if desired!